Improved comfort and savings are right around the corner! 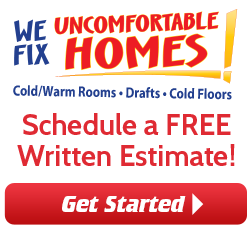 Home insulation is key to year round comfort and energy efficiency. We offer our customers a unique experience as we believe in the whole house approach to savings. This means we evaluate how your entire house is functioning thus allowing us to identify the exact source of the problem and how to fix it. We know exactly the right type of insulation and where to place it in your home to get you the most bang for your buck, providing you the best insulation and home comfort within your budget. With years of experience and a focus on customer satisfaction we are your first choice for any and all of your home insulation needs. Contact us today to schedule your home energy audit in New York. We serve homeowners in Poughkeepsie, Hopewell Junction, Newburgh, Wappingers Falls, Fish Kill, Red Hook, Hyde Park, Beacon, Stormville, Pouquag, Langrangeville, and all surrounding cities and towns. We are here to help regulate your energy costs per month as well as improve your home's overall comfort, value, and even your own health! 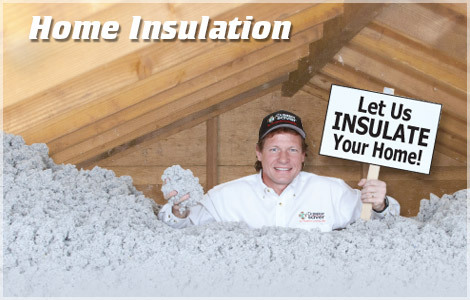 Before you decide to pay for insulation make sure it is the right insulation for your home. 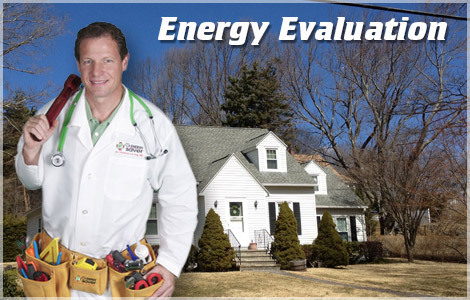 To help you in this decision we provide a comprehensive energy audit where we inspect all the areas of your home and then walk through the home with you showing what we found. After the home tour we sit down together and discuss the different insulation projects the home needs and help you prioritize them according to your needs and your budget. At the end of the audit you have a select list of home energy work for your home to get the result that you want at a price you can afford. After an audit to determine the right insulation for your project we have exactly what is needed for the job to best insulate your home. We will first explain the work that will be done and the expected results and then we will do exactly as we promised. Just like any home improvement the work you have done is an investment. Make sure don't only focus on the price of the project when talking to different contractors. First think, is the insulation I need for my home? Did they perform an audit before beginning work? Did they perform quality work or were they just rushing? It can cost a lot of money to heat your home in the winter and cool it off in the summer. This is especially true when your home is inefficient. It is likely that there are serious leaks in your home allowing the air that you just paid to condition to escape out of your home. Tell us exactly where you see or feel an issue in your home. We can identify and solve the problem. Comfort and energy efficiency work together. 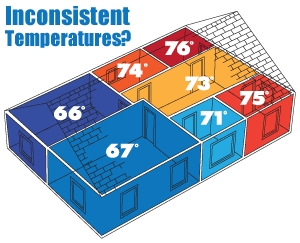 Rooms that are too hot or too cold indicate poor energy efficiency. Dr. Energy Saver can find and fix home energy problems, making your home more comfortable while also reducing utility expenses.